In a large bowl mix together soy sauce, vinegar and annatto powder. Add in all the remaining ingredients then mix. Place mixture in a sausage stuffer, place casing on the other end then tie a tight knot on the end. 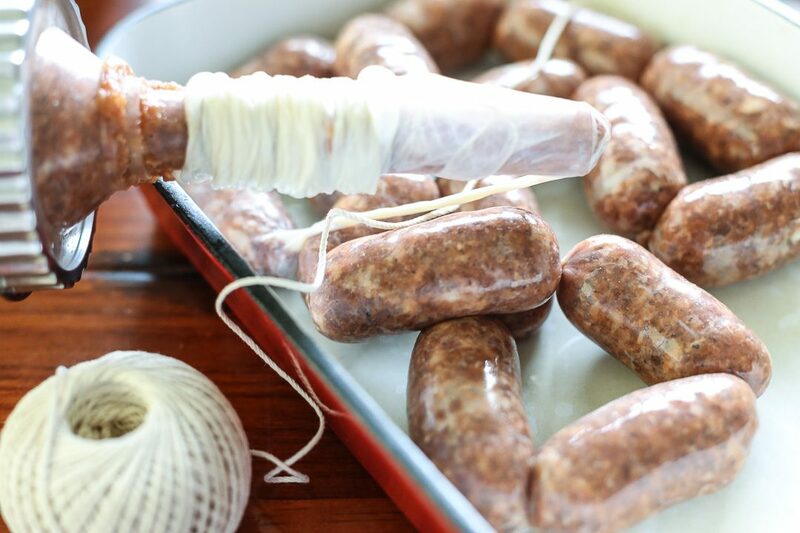 Fill the sausage casing with the meat mixture, every 2½-inch twist to seal section, gently pack each section until you are finished with all the meat. Once in the casing put in the fridge for a day to dry, hold its shape and let it marinate on the spices. Place in the freezer for storage. To cook, place sausages in a pan, add a bit of water then cook in low heat while covered. Once water dries out add a bit of oil then cook slowly until sugar starts melting.